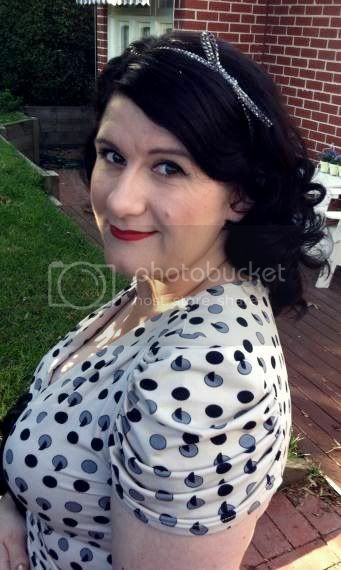 It has been a long time since I've had a blog of the month so we're getting back of track this month with the beautiful vintage fashion blog, Princess Pin Curls from Melbourne Australia. What attracted you to vintage fashion and when did the obsession begin? As a young girl, my Mum collected antique furniture and we would spend lots of time in Antique stores of a weekend. I think this led me to appreciate the quality and charm of old things, to seek out the story behind the object...and to love them. I also remember watching period dramas and a lot of BBC shows growing up shows like All Creatures Great and Small, and I think that is where my obsession with 1940's began . I always dressed differently to my peers, at 17 I bought my first Laura Ashley dress with savings from my part time job. It was a blue and green floral wool flannel fabric, with puff sleeves and is full skirt went all the way down to my ankles. What inspired you to start your own vintage blog? I read a lot of vintage blogs and I love sharing in the fabulous finds that other people discover-and the stories behind them. The blogging community is a very inclusive environment and I wanted to reach out and communicate with other like minded gals. 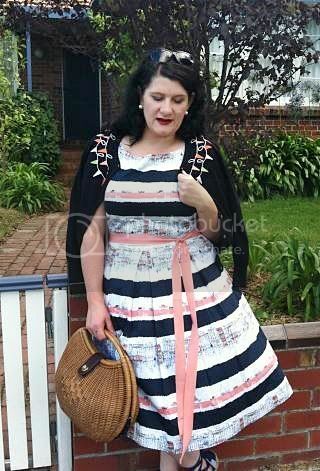 Another fellow Melbourne blogger gave me some advice and encouragement and I decided to take the plunge. I haven't looked back and I love my little Princess Pin Curls blog. I love how you incorporate so much modern clothing into your wardrobe but it looks so authentically vintage! What vintage inspired details do you love in a modern garment? 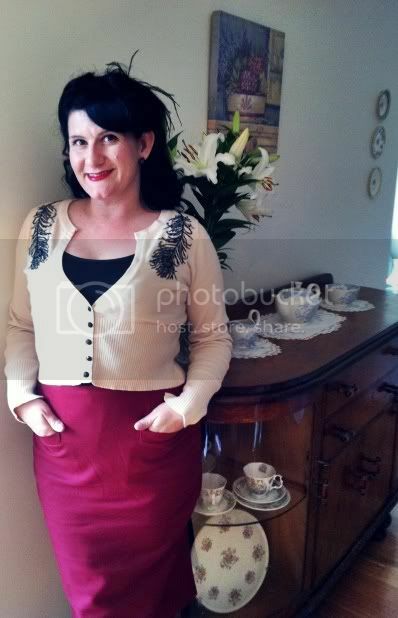 I look for clothes that have all the dainty details of vintage clothes- lovely buttons, archive/retro style prints, beautiful cuts in the skirts and dresses that flatter my shape. I do try to find pieces that look authentic, but I'm not a purist. I am happy to accept the convenience of a modern fabric, if it is of good quality- sometimes they even wear and fall better on me than their yesteryear counterparts. What was your very first vintage find? An olive green Fletcher Jones kilt from a thrift shop...I think I was 15 years old. I still love kilts and the Fletcher Jones brand. What is on the top of your vintage wish list? It would have to be a Dior 'new look' style evening dress.I love all of the dresses from his 1947-1950 collection. They really are the most beautiful garments I have ever seen. I am currently working on trimming my waist down a bit-so that this style will suit me. Fingers crossed. Thanks to let us discover some other nice blogs!!!! It's sometimes hard to discover new things. I love her blue late 50's dress. What a fantastic interview! I found myself nodding in agreement with so many of the things she said, and also rather love that we're both fans of Laura Ashley. Thank you ever so much, dear Brittany, for another stellar vintage blogger interview. She's darling, I love her sense of style! Thanks for sharing the Great intervew. Princess is really an ARTIST of Style! 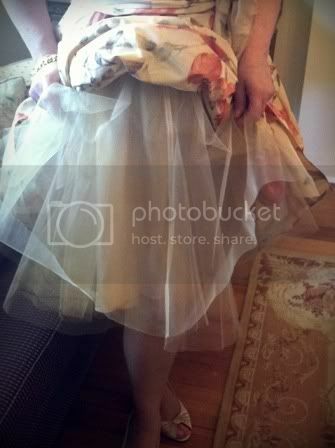 I like Her creative, Artistic way of wearing! !